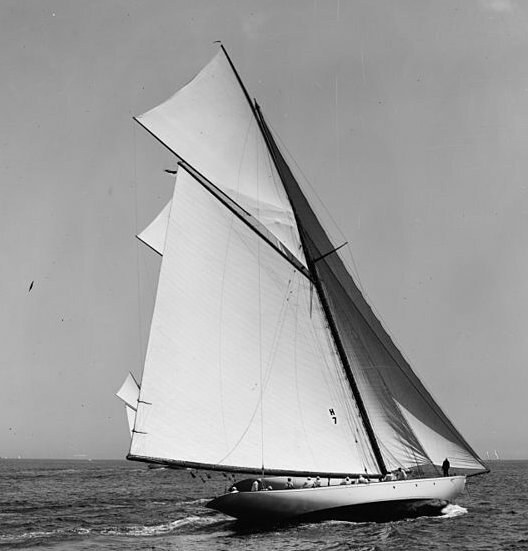 The first and largest of the Herreshoff designed New York Yacht Club one-designs. They were lightly built and it is said that re-bracing was necessary after the first season. For handicap racing they became obsolete with adoption of the Universal Rule in 1903. All were scrapped after a very few years. Mineola, Rainbow, Virginia, Yankee (owned by Cornelius Vanderbilt). Visible in photo is 'Virginia'.